A super cute pocket mirror, the perfect size for travelling in your handbag! 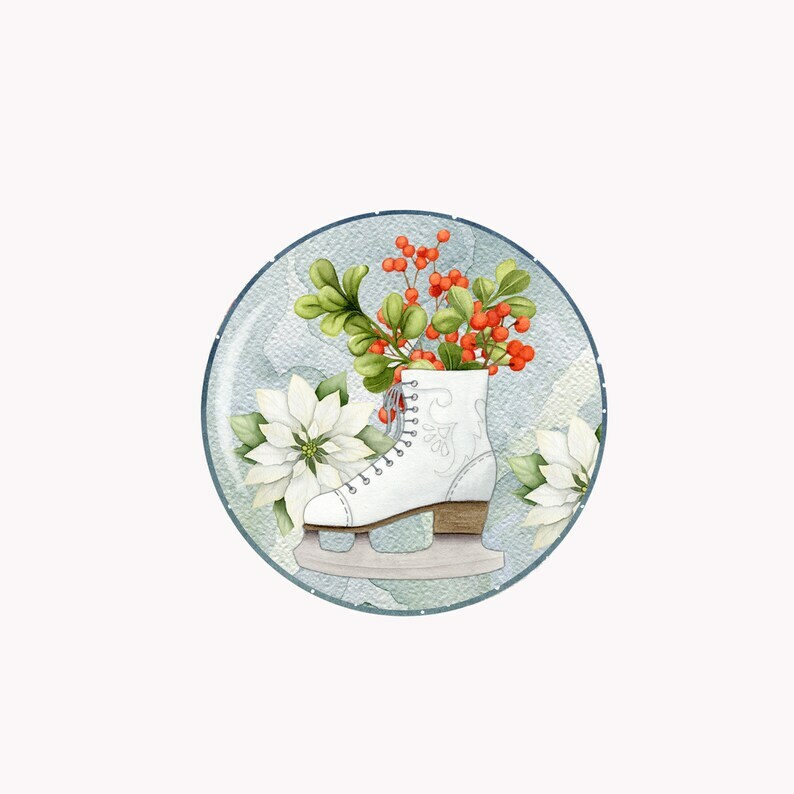 This one features an adorable image of a pair of Christmas Ice Skates. This mirror measures approximately 6cm (2 1/4"). Each mirror will arrive carefully packaged in a drawstring pouch. These pocket mirrors make super cute gifts and stocking fillers! Orders to UK are posted via Royal Mail and take approximately 3-5 days to arrive. International orders are posted via standard airmail and take approximately 10-14 days to arrive. The seller was so flexible and customizable with my design idea! She also did an amazing pair of Jessica Rabbit ears for me, and 2 other custom designs for my sister. I beyond happy with the ears and will definitely buy more from her in the future. Much larger than expected but I do love it! Unique and very nicely made. Envoi rapide,article très bien fait,je le porte tous les jours car il est très beau; MERCI!! !